If you’re planning a trip abroad this summer but aren’t quite sure where you should think about going, why not consider embarking on a whole new, interesting adventure and heading out to the Middle East. This region of the world immediately gets bad press what with the almost continual upheaval that occurs in certain regions, but as for other areas, nothing could be further from the truth, with safer countries including Jordan, Lebanon and of course Israel. For the perfect mix of beaches, history and culture, no city could be better placed to offer a bit of everything than Tel Aviv, and with amazing options for Tel Aviv flights, now is the best time to check out this jewel of the Middle East. 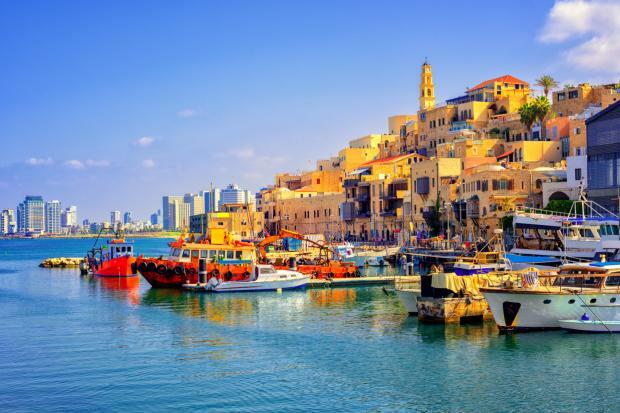 Tel Aviv is home to a beautiful stretch of Mediterranean coastline that plays host to not only numerous hotels and spas but also restaurants and shopping areas. Indeed, it seems the prime real estate in the city is along this stretch of coastline and it’s where you will find all the amenities that a visitor to the city would want. There is a whole system of renting beds and umbrellas and those with a DigiTel card will enjoy reduced rates on rentals. Snack shacks offer chair side services, however you will get a lower price on your orders if you go directly to the snack shack yourself instead of having it delivered to your chair. Proper meals run in the area of 60 shekels while watermelon is 30 and bottles of water are around 5. In the interests of tourism, the city maintains that snack shacks must stick to the same pricing and display it, so as a visitor you should have no issues with getting ripped off at different shacks. For a ‘higher end’, yuppie type beach, check out Hatzuk beach. For more relaxed and family friendly but quieter beaches head to Metzitzim Beach, a regular haunt for celebs. With the city becoming more and more popular, a larger number of luscious and high rated hotels have been cropping up along the coastline, making Tel Aviv the perfect place for those seeking the amenities of a brilliant hotel and spa with easy access to the Mediterranean coast and beaches. Ashram is rated number one on TripAdvisor for wellness spas in Tel Aviv, so be sure to book ahead if you want to experience the best the city has to offer. The city life in Tel Aviv seems to go 24 hours a day, and as a result, you will have no difficulty in finding bars and restaurants that are open until all hours of the night. Given the Mediterranean climate and culture here, many people don’t start heading out on the town until about nine in the evening to avoid the hotter times of the day. Never fear though, as air conditioning is commonplace, so even if you do opt for an earlier start, you won’t be overheated. As with many Middle Eastern countries, market life in Tel Aviv is alive and booming. Markets can offer any number of different fare on offer, from food to clothing, textiles, crafts, spices and more. For some of the best in food markets, the Sarona Food Market offers a ‘new world’ vibe while selling some traditional Israeli foods amid a mix of both shops and restaurants and is a great place to head for lunch or dinner. Namal food market is another to head to in order to stop the cravings and hunger. For spices and traditional Middle Eastern fare from further afield such as Iraq and Iran, head over to the Levinsky market. Crafts are popular at Nahalat Binyamin market, so check it out for gifts and souvenirs with a real traditional, local theme. This ancient port town is the thing dreams are made of. Dating back thousands of years, this is a small village that makes up part of both southern and ancient Tel Aviv. Despite being part of the greater city, Jaffa has its own vibe and is a delight to visit either by night or day. It’s a town that’s mentioned in a number of biblical stories involving people like Solomon and Peter. This is an absolute must do for anyone in the area. With mosques, cafes and museums to explore, it’s easy to see why this area has been bustling for over seven thousand years. Check out the attractive artistic prayer rooms inside the mosques if available, and enjoy the various museums in the area that highlight the rich history of the region. So there you have some great reasons to visit Tel Aviv. With so much to see and do, it’s no wonder this is becoming an up and coming location for travellers to get a welcoming and safe introduction to the Middle East. Can You Really Drink Your Way to a Younger You?